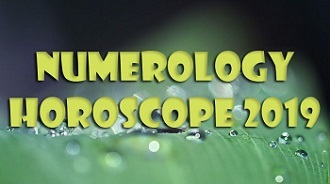 33 as a master number is one of the most powerful and promising one. These people differ with an ability to see everything from different sides, with their wise and wit, with empathy and sense of justice. 33s are often broad-minded, supportive and determined. If they have something on their mind, they will do everything for its accomplishment. They rarely left something half-done. They create a warm atmosphere wherever they are, such people make a lot of long-termed and trustworthy contacts. They are very generous and sometimes may suffer from it, as their generosity verges with naivety. They readily help those who are in need. Their good mood is contagious, they are sunny and sincere. In love they are desperate and sometimes over dependent. But about such love others make movies. The level of understanding in couple with one partner being 33 is amazing. They are the source of energy and inspiration, and their love is unconditional. The vital energy produced by these people should find an expression. They need to learn how to focus their abilities on something one, because they often take too many tasks at once. They have enough energy to manage with all of them, but the exhaustion doesn't worth it. These people have very sharp sense of justice, and they want to be maximum useful. This number occurs not often and such people usually have a particular mission, though they can not even know about it. Their greatest actions are usually made for pleasure or for help. You can easily manipulate or persuade people in what you want them to believe, and they will, because you have a cheerful disposition and oratorical skills. But you don't want manipulate others, you always fight for the rights of people in need and for the humiliated. Lawyer, judge, politician, teacher, psychologist, therapist, social worker and everything connected with liberal arts are the spheres of your successful self-expression. You are kind-hearted and have a lot of friends. However, due to your personality be especially careful, because such shiny people often become disappointed in life, because most of people don't obtain such positive sight on life. Their cynicism may depress you, but believe in your ideals and hold on to your principles. Master number 33 doubles the features common for core number 6. 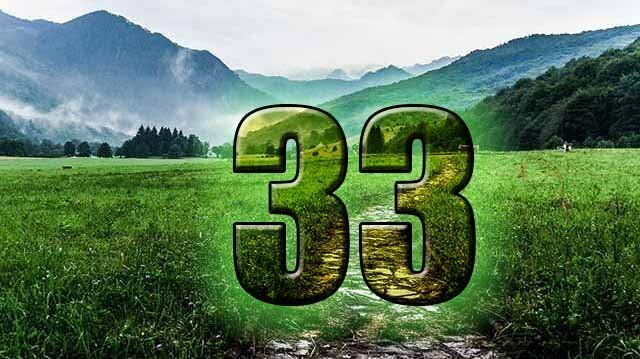 In most cases negative features in number 33 are weakly manifested. People will often use your kindness. Learn how to say "no", because it is really needed in order to keep you safe. After the maturing - approximately in your 30s - you will understand the precise mission of your life. You will be able to evaluate people and judge the world around and your place in it. Also, take care of yourself. You always want to be useful for someone else, but it's time to think about yourself. You are not as strong, and all of us are disposed to health issues. Be careful while helping others, don't miss the moment when you need the help. Reach a balance inside, make sure that you have no problems in your private life and then you will be ready for active socialization or your self-realization. Try to be independent and confident, these qualities will help you to stand for yourself. For now you may not know your destination in life, and why there are so many words about helping and so on. Remember that help can be manifested in many aspects, from physical help to moral support and being a shoulder to cry on. You will get an understanding of who you are, and it will help a lot of people. Always remember to be in harmony with yourself. Love yourself first – it is a key to your successful life. Learn to formulate your desires and ideas precisely, and the achievement will be way easier, as your thoughts will become material.